The South Asia floods have claimed hundreds of lives and affected millions of people throughout India, Nepal, and Bangladesh, leaving them exposed to food shortages, disease and lack of shelter. There is an ongoing humanitarian crisis, with children particularly vulnerable to the effects of the floods. I will be making a charitable donation to support the humanitarian efforts, and I ask all of my students to offer what they can. Whether or not you are able to offer any material resources for this cause, your spiritual resources in the form of prayers will have great benefit. 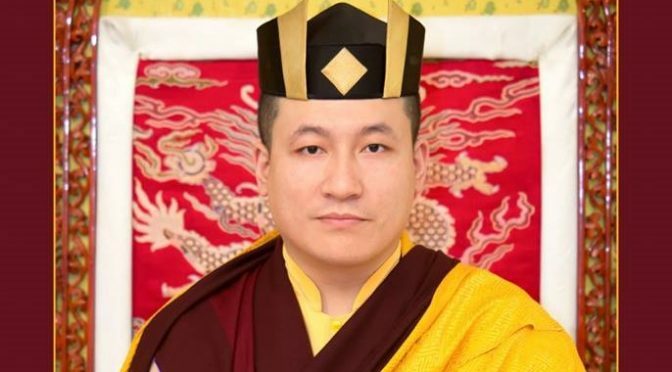 Thaye Dorje, His Holiness the 17th Gyalwa Karmapa, shares the following message regarding yesterday’s tragic incident in Barcelona. As I arrived here in Spain to offer dharma teachings, I learned about the incident in the Las Ramblas area of Barcelona, where innocent people have lost their lives. When natural disasters, and wholly unnatural disasters like this occur, it is very challenging to see any hope in such circumstances. As this country grieves, let us all join in prayer for the victims, their loved ones, and for the whole of Spain. The very act of praying together is a source of hope. Thaye Dorje, His Holiness the 17th Gyalwa Karmapa, shares this statement following today’s news of the tragic incident in Uttar Pradesh. I have just learned about the passing of at least 60 babies at a hospital in Uttar Pradesh in Northern India. I am not a parent, and so it is impossible for me to understand what the families must be going through. Having said that, I offer my heartfelt prayers for all of those suffering as a result of this tragedy, and I ask all of my students to offer their prayers as well. 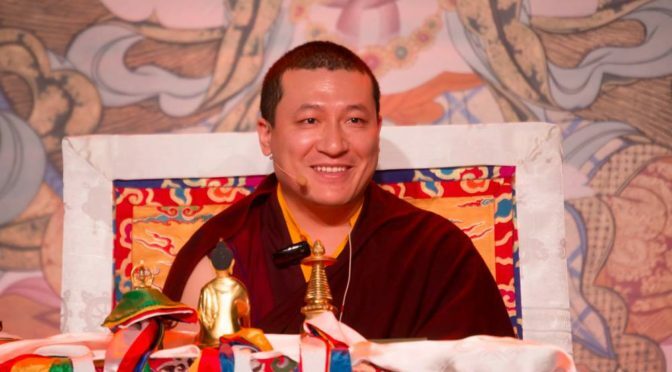 Thaye Dorje, His Holiness the 17th Gyalwa Karmapa, is delighted that his wife Sangyumla and members of her family are able to join him for teachings in Grenoble, France, as part of his European tour. 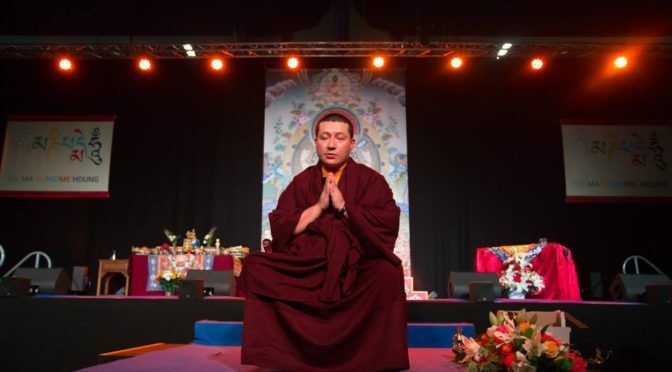 Following an extensive teaching schedule in Sweden and Spain, Karmapa arrived in France this week to start six days of teachings in Grenoble, at the invitation of Lama Teunsang and students in Montchardon. On the first day of Karmapa’s teachings, on the subject of the meaning of taking refuge in the Buddha, the Dharma and the Sangha, Sangyumla joined the thousands of students present. It is an auspicious opportunity to be here with Lama Teunsang and so many Dharma friends from Montchardon, France and the rest of Europe. 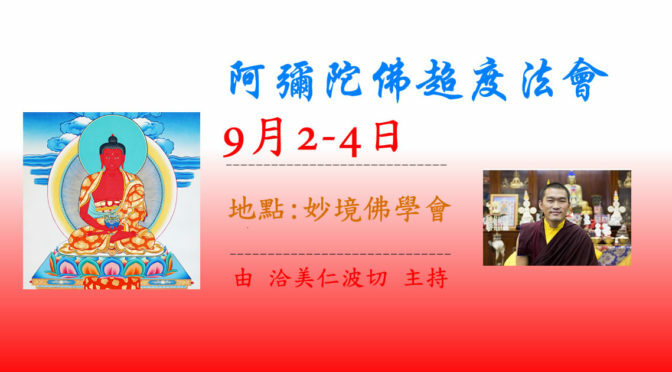 Following Karmapa’s teaching schedule in Grenoble, he will visit Karma Guen in Malaga, Spain, the last leg of Karmapa’s 2017 European teaching tour.